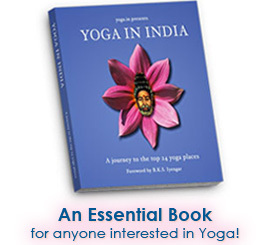 International Yogalayam was created in 2006 by Yogacharya Michael to provide information on the various aspects of classical yoga. Along with free yoga educational resources and comprehensive, distance education in yoga, International Yogalayam is at the forefront of online yoga education. Yogacharya Michael is a senior teacher in the Rishiculture Ashtanga Yoga lineage of Dr. Swami Gitananda Giri Gurumaharaj, of Pondicherry India. He is the Founder and Director of International Yogalayam, an online school of yoga, and Managing Editor of The Yoga News, a web-based monthly yoga magazine. 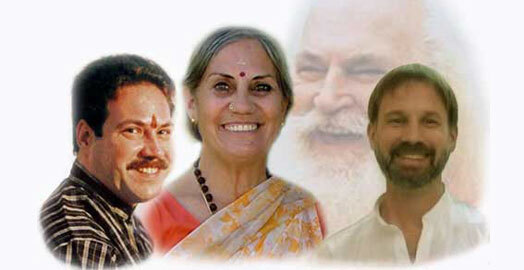 Yogacharya is a unique personality in the modern yoga world. He is a dedicated exponent of the cultural heritage and traditional teachings of yoga, while at the same time a leader in bringing the ancient science of yoga together with modern technology in a practical and meaningful way. His passion for yoga began early in life. Born in Canada, he travelled extensively as a young man, exploring various cultural and spiritual traditions around the world. By the age of twenty-seven, he had already journeyed to over 50 countries, eventually finding a familiar and strong connection to the spiritual culture of India. Like many Westerners who go to India in search of yoga, Yogacharya spent several years traversing that great land, studying in various places with a variety of teachers from different yogic traditions. This included a venture into the esoteric teachings of Tantra Yoga, practicing Mysore Ashtanga Yoga in Mysore city, and also learning from senior teachers in the Iyengar Yoga line. He has also studied the principles and practices of Ayurveda and continues to study Sanskrit, the ancient language of yoga. Yogacharya is also a prolific writer and has published dozens of articles on the various concepts and principles of yoga. He is recognized for his unique ability to address the day to day concerns of modern life from a yogic perspective, and to bring the ancient teachings of yoga to life in a way that is relevant and practical today. He is the author of The Yoga Master's Course, arguably the most extensive yoga distance education program available today, along with other yoga training program offered through International Yogalayam. Yogacharya still spends most of his time in India and Southeast Asia, where he continues to study Sanskrit and Indian culture, consult, write, and practice yoga. Yogacharya's inspiration and continued guidance comes from the selfless service to yoga provided by Swamiji's dhamapatni Smt. Meenakshi Devi Bhavanani and his son, and successor, Yogacharya Dr. Ananda Balayogi Bhavanani. -Why Are There So Many Yoga Styles? -Yoga Classes-Licence to Print Money?